Fiona claims she doesn’t remember anything about the night her best friend left a party early and walked into the ocean. But the truth is, she wishes she could forget.Trixie’s disappearance is ruled a suicide, but Fiona starts to believe that Trixie isn’t really dead. Piecing together the trail of a girl who doesn’t want to be found leads her to Jasper, Trixie’s former friend with benefits, and Beau—the boy who turned Fiona down, who loved someone else, who might be happy Trixie is gone.The closer Fiona gets to finding out what happened, and the closer she gets to Jasper and Beau, the more she realizes that the girl she knew better than anyone may have been a carefully constructed lie—and she might have been waiting to disappear the entire time.Told in alternating chapters between the past and the present, Last Girl Lied To is a gripping emotional thriller. 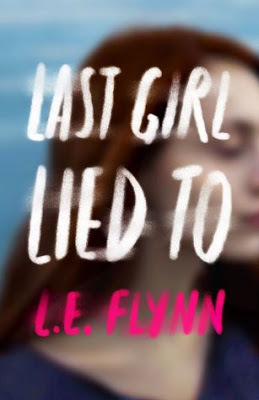 Review (4 Stars): Last Girl Lied To was a haunting thriller about how easy it could be for someone to just disappear. Fiona claims to not remember the night her friend, Trixie, disappeared but there are moments that she can’t seem to forget. She believes that her friend isn’t really dead but just made it seem that way and now she is on a journey to find out what really happened that night. Is her friend truly dead or did she just decide to leave everyone behind? This book was a fascinating read because it was so easy for someone to just disappear and leave their old life behind. 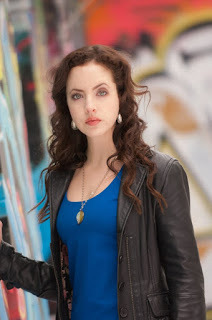 Fiona was an interesting character because she didn’t want to be the person that everyone had expected her to be and Trixie brought out the person that Fiona wanted instead. This mystery was intriguing and thought-provoking and will stay with you after you finished the last page so definitely add it to your TBR pile.